The Life of Luxury provides an array of ultimate boating experiences. We provide access to a wide variety of beautiful luxury boats, yachts and privately owned super yachts from all around the world. We offer a truly global luxury marketplace for the best boats and yachts available anywhere. We are a leading destination for luxury super yacht buyers and sellers, providing up-to-date information on the biggest and best boat and yacht fleet inventory. 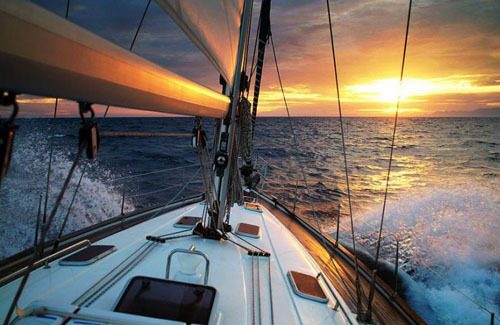 In addition to being your one-stop shopping place for luxury yacht charters, brokers, parts, loans or buy insurance … we can also provide strategic, expertise marketing for sailing and motor yachts for sale, both new and used. If doesn’t matter whether your yacht purchase price is $200 million USD or $20 thousand USD, we can find a luxury boat or yacht to fit your needs and budget! Cakewalk measures 281 (85.6m) feet and weighs 2,998 tons. Cakewalk is an incredible yacht in both size and luxury amenities and is the largest yacht built in the U.S. since the 1930s. Capable of accommodating up to 14 guests in 7 luxurious cabins, Cakewalk combines the perfect amount of open space, idyllic luxury and sturdy, sea-faring performance. The Nero super yacht measures 296 (90m) feet and can accommodate up to 12 guests in a master, VIP, two doubles and two twin cabins. 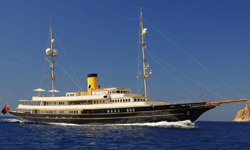 Nero offers sleek lines and classic exterior heralds the bring back memories of the truly golden age of private yachting. Nero was completed by Corsair Yachts in 2008 at the Chinese shipyard – Yantai Raffles. The Sycara V super yacht measures 223 (68m) feet built with a steel hull and aluminium superstructure. 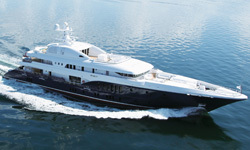 Sycara V can accommodate up to 14 guests. 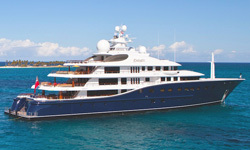 The luxury yacht’s staterooms include one Master Stateroom and five Double Staterooms. The Life of Luxury can also help arrange a super yacht charter and crewed luxury yachts. In addition, we can offer professional bareboat yacht rentals, sailing or motor yacht charters in the Caribbean, Pacific, Mediterranean or almost anywhere worldwide.